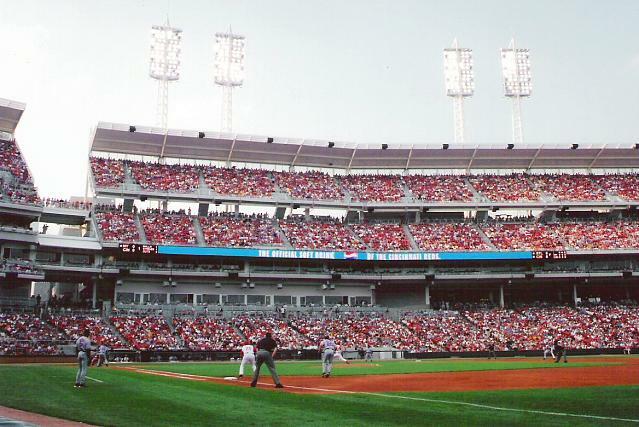 A baseball park, baseball stadium, or ball park / ballpark is a place where baseball is played. It refers to the field of play, seating areas (if any) and any other things added to it. The flexible rules about baseball fields (aside from the rigid rules of sizes of basepaths and pitcher's mound) allow ballparks to have their own character and quirks. This happens at all levels of baseball, amateur and especially professional. This makes each stadium interesting and unique. 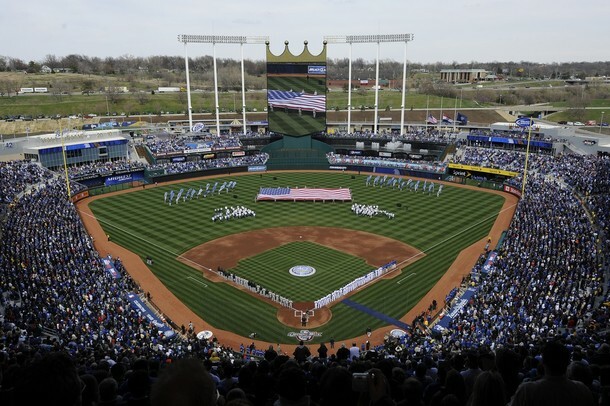 Below is a list of all current ballparks for teams of major league baseball. Marlins Park, the second newest ballpark in Major League Baseball, behind only SunTrust Park. Picture of old Yankee Stadium showing its left field fence, which was famous for being farther than the right. 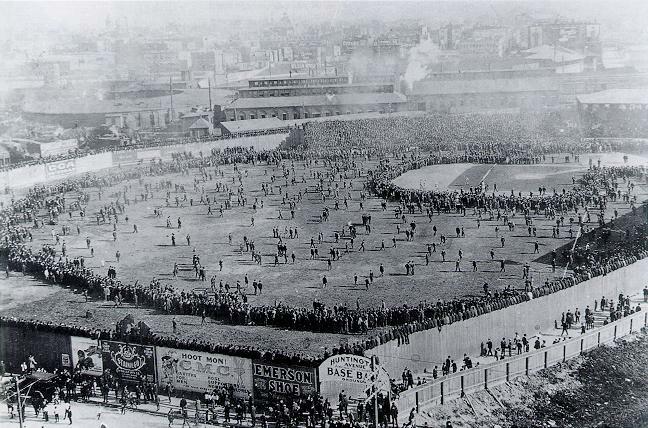 The Huntington Avenue Grounds during the 1903 World Series. Picture of Fenway Park. The famed Green Monster is the left-field fence. It is the oldest active ballpark in Major League Baseball. Built originally for college football and the Olympics, the oval-shaped Los Angeles Memorial Coliseum became the temporary home of the relocated Dodgers in 1958. Rogers Centre is the first functional retractable-roof stadium, shown with the roof both opened and closed. Marlins Park has a contemporary, Miami-centric design with a sculptural glass & curves depiction of "water merging with land", Miami-Deco tiles, and a bright multi-color scheme. 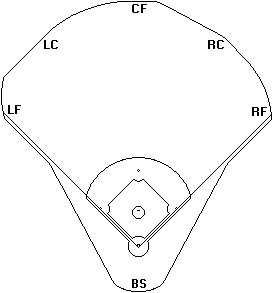 The cardinal outfield dimensions, along with the backstop. Baseball park Facts for Kids. Kiddle Encyclopedia.